Mash diced avocados in a large bowl. Add the remaining ingredients and season with salt and pepper. 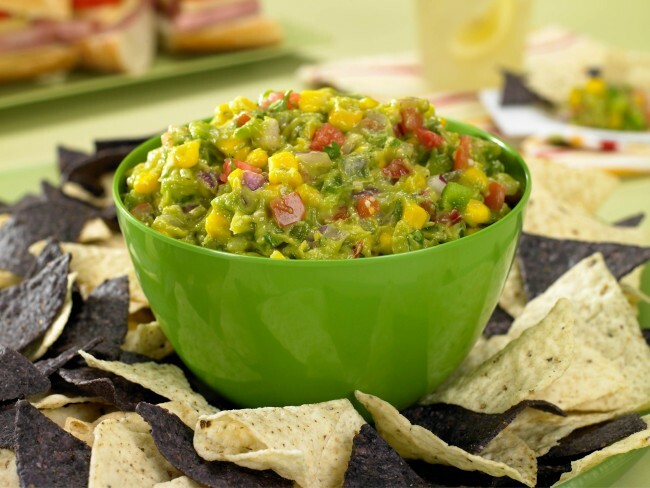 Serve with blue, yellow and white corn chips.